Laura | Bright Woman | Laura F. Bright, Ph.D.
Last week I had the opportunity to attend a convening of the Information Trust Exchange Governing Association (ITEGA) in Brooklyn, New York to discuss trust, advertising, and data privacy. The sessions were co-sponsored by the Local Media Consortium and the Internet Society and had roughly 45 academics and industry specialists participating. The main goals of this convening were to map out current problems with online advertising as they relate to consumer trust and privacy, identify how those problems overlap, and create a map for moving forward. To insure that all areas of the problem were discussed, a variety of stakeholders were present from ad technology companies to content providers to browser technologists to academics with specialties in advertising, communication, and computer science. The consensus among both industry and academic attendees is that the current process that governs online content consumption is flawed – from the consumer privacy perspective, from the ad technology side, and from the publisher or content provider view. The online ecosystem that we live in today is driving down digital revenue, eroding CPMs, and creating an untenable environment for privacy management. 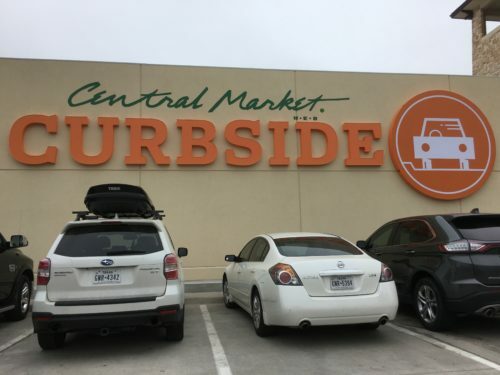 Many stakeholders at the event noted that we need to focus on a “people based strategy” to improve the experience for consumers rather than focusing on improving the experience for the industry. Moving forward, I will be working with the “Technology for User Data and Authentication” group to help bring a consumer privacy perspective to a technical topic that is often times overlooked by your average online content consumer. I must say it is quite fun to be jumping into the technology deep end after a long time away. 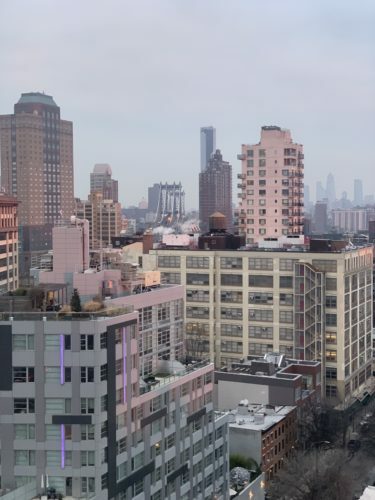 I will post more information here as things begin to take shape – until then, please enjoy this lovely sunrise photo of the NYC skyline (that pink glow!). 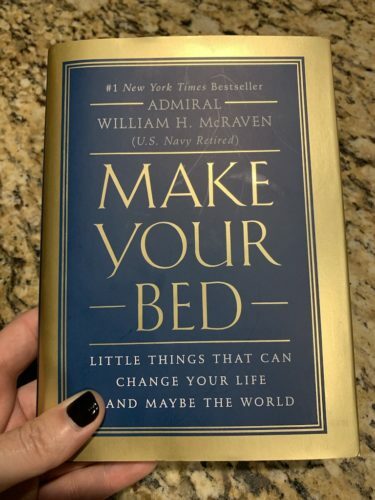 To celebrate Veteran’s Day this year, I finished reading “Make Your Bed: Little Things That Can Change Your Life … And Maybe the World” by the current Chancellor of the University of Texas system, Admiral William H. McRaven (Ret.). The book made me laugh and it made me cry but most of all it made me think about how hard we all have to work to get to where we want to be. You can find the book and the rest of the lessons here. I highly recommend taking an hour or so to read this and see what you can apply to your life. And, to answer your question, yes I made my bed this morning. Yesterday marked the 10 year anniversary of defending my dissertation and being called “doctor” for the very first time. The clear memories of that day make it seem as if it happened yesterday although I still can’t remember what happened after my advisor opened the door to tell me I had passed – maybe that will come back one day! 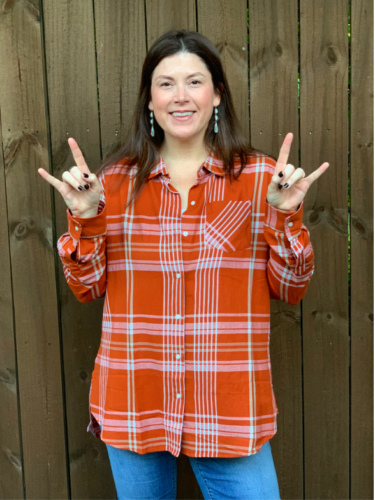 One thing is for sure, I will always be a longhorn :). 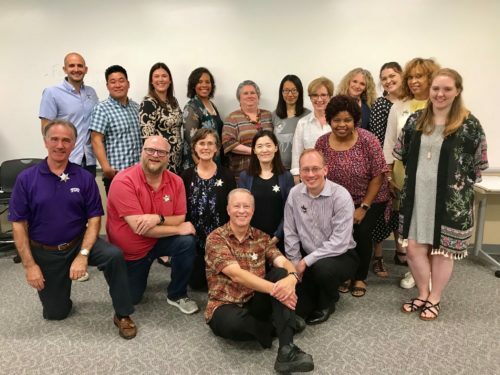 On Thursday of this week, I had the opportunity to facilitate my first faculty retreat as Department Chair for the Strategic Communication faculty. The event included your standard fair of faculty items – curriculum discussions, committee appointments, forming an advisory board, and reviewing deadlines for the coming academic year. Overall, it was a productive half day spent with a fun group of colleagues. At the end of the meeting I took the opportunity to “deputize” the faculty to go forth and continue being awesome leaders in our college. This activity was inspired by my long time mentor, Gene Kincaid, who used to deputize all of his interactive advertising students when we were ready for prime time (I still have my deputy sheriff badge from 1999 when I got mine!). Here is the whole posse as we prepare to walk wide-eyed into a new semester – as one of our staff put it, we are deputized to strategize! 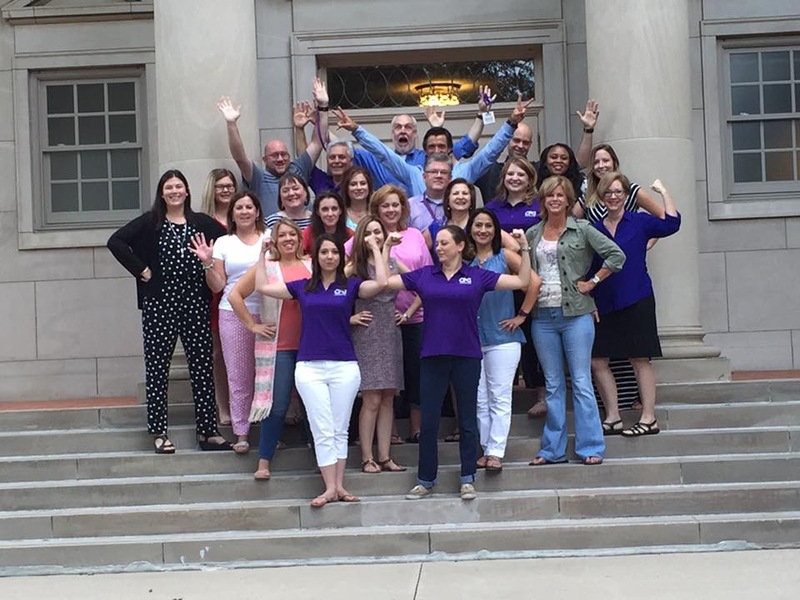 The Certified Public Communicator Program at TCU came to a close yesterday after an eventful week of programming and networking. This year Jacque and I graduated our fifth cohort in the program which brings our total count of CPC graduates to over 100 – what an awesome achievement! Pictured below are the graduates from this year – 24 public sector communicators from cities, counties, and school districts across the country. 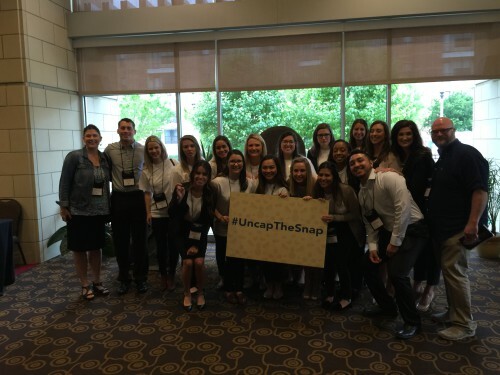 We first started this program with Texas-based city communicators and have grown it to include students representing a variety of states from coast to coast. 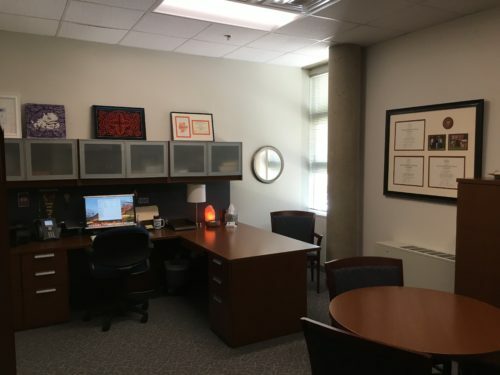 My sabbatical time officially came to a close last week with the move of my office into the main Strategic Communication office at TCU – my role as Department Chair will begin in a few short weeks so July will be spent trying to get back into the swing of things. Luckily, my new spot is peaceful, air-conditioned, and has a sliver of a view. My new office in Moudy South at TCU. The last three months of my sabbatical time were productive with regard to research and planning for the Fall semester – my department chair training has been completed, finally received the go ahead on an upcoming paper in Internet Research, and started a new project analyzing the #deletefacebook phenomenon that occurred earlier this year. I am thrilled to be working on this new project with my mentor from UT Austin – makes me feel like a grad student again which always makes me better with deadlines! July will be a busy month with a conference presentation on communication planning in Nashville for the National Association of County Information Officers followed by the Certified Public Communicator week on campus at the end of the month. During this week, there will be 50 public communicators at TCU to learn about digital first planning, crisis communication, measurement, and media management. I am looking forward to spending another year learning from these valuable government communicators. That’s all for now – I’ll be reporting from TCU sometime in the next few weeks. 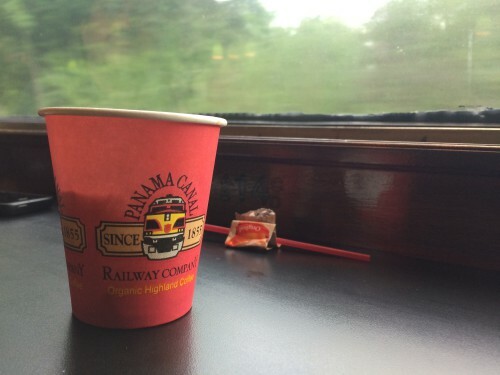 It appears that I have taken a sabbatical from my sabbatical blog – whoops! But, never fear – there have been plenty of good things going on this month with regard to research, writing, and traveling so not all is lost. March started off with the completion of the first round of my Oxford Bibliographies book chapter on “User Generated Content in Communication” – it was fun to revisit a topic that I worked extensively on while in graduate school as much has changed since that time. It is typical for me to only focus on the advertising side of things so this chapter was a nice change of pace since I had to include material from journalism, communication studies, public relations, and government communications. Now that it is submitted, the waiting game begins on the first round of revisions. My reward for turning in my chapter was a trip to the Pacific Northwest and what a treat it was – hikes with waterfalls, Japanese gardens, delicious food, ferry rides, walks on pebbly beaches, and fun with family and friends. I got to see my first tsunami zone and take in the incredible views of the Oregon coast and completely fell in love with Wheeler, Oregon (pop. 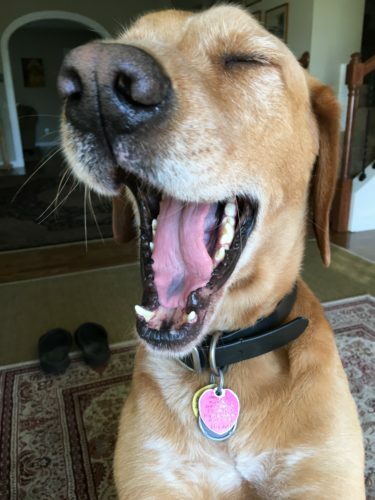 414) – full disclosure, there was a hound dog named Birdie – who can resist that?. As March comes to a close, I will be working on the fourth round of revisions on a manuscript and fleshing out some new research ideas for conference submissions in the fall. The coming month will bring class prep for fall and time to rethink the projects and assignments completed in my Channel Planning course. It is always a challenge to keep up with new channels and how to integrate them into the planning process. Hoping to come up with some good materials after I dive down that rabbit hole. In other news, Spring arrived in Fort Worth this week bringing birds to my garden, beautiful green leaves on the trees, blossoms all around the neighborhood, and lots of thunderstorms in true North Texas style. 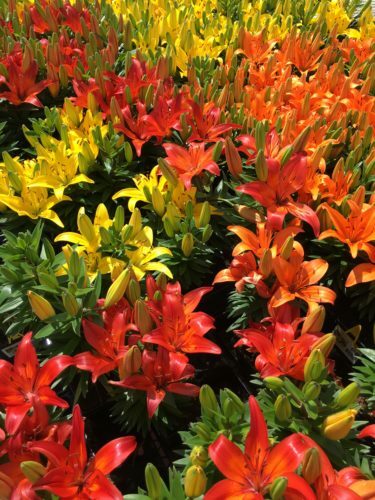 I am looking forward to digging in the dirt and planting some new perennials in the coming weeks – the garden center has definitely not seen the last of me for the season. Time has flown by the last week and a half – conference presentations happened – big decisions were made – research projects have continued to trudge along toward completion – yard work has been conquered – sewing room has been setup and organized. The big news to report from here is that I signed on to become the next department chair for the Department of Strategic Communication at TCU and will start that three-year term in August 2018. It’s exciting and nerve-racking and a lot to think about so I have started ordering books, checking out online resources, and seeking advice from friends in these jobs – the preparation begins! I’m aggregating my online resources here – https://pinboard.in/u:lbrightphd/t:STCO-dept-chair-job/. 4) I’m always looking for ways to get manuscripts together more efficiently – this is a hard sciences approach that seems promising and something I might try for my next project – Geo Cognition Laboratory Manuscript Writing Process. I’m continuing my work on a book chapter on user-generated content as well as the final edits on a forthcoming piece related to social media fatigue and FOMO. 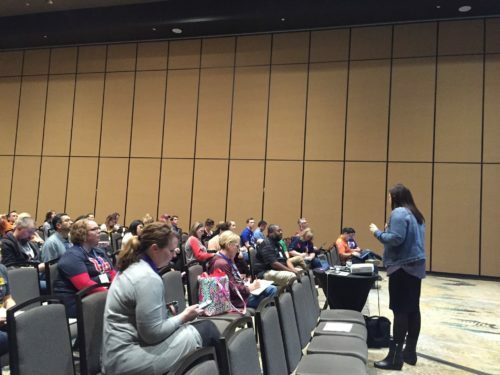 Speaking of which, I had a blast last week talking to two different groups at the Texas School Public Relations Association conference about social media engagement, planning, and replacing the Fear Of Missing Out (FOMO) with the Joy Of Missing Out (JOMO). Presenting about Social Media Fatigue at the Texas School Public Relations Association annual conference in Frisco, Texas (2/21/18). I’ll be back next week with more on digital wellness and how my work is going. 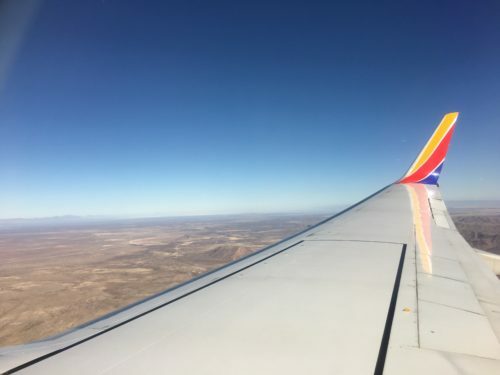 This week took me out to El Paso to visit family, friends, and the mountains – it was good to be back in my hometown. Most people I know either love or hate El Paso, no in between seems to exist. As for me, I LOVE El Paso and all of the incredible things that the high desert has to offer. Next week I will be back to business … until then, I will be dreaming about the mountains and mountains of green chili! 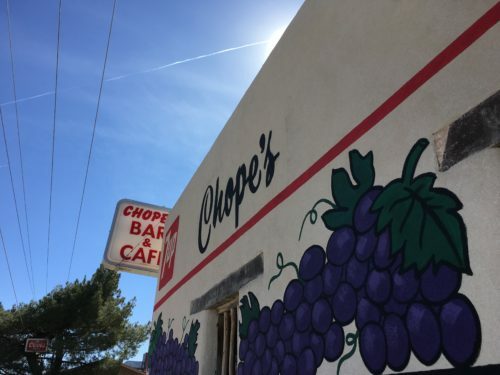 Chope’s bar and restaurant in La Mesa, New Mexico on the back road to Old Mesilla. PS – All digital wellness activities continue with success – more on that next time. I was not surprised by how much keeping my phone away from my bedside table helped with things – especially getting out of bed in the morning, NOT checking my email immediately, and staying off of social media and news feeds first thing. In fact, my new rule is no technology before my feet hit the floor in the morning. The more challenging tactics have been to not check my email before 8 AM and to set my goals for the day before checking my inbox. I suppose the old habit of letting my inbox dictate my priorities will be a hard one to wrestle but worth it in the end. As for my social media use, it has been nice to moderate my usage and not have the FB apps on my phone – my outlook on life always improves when I step away from social media for a bit. In that regard, I am replacing the fear of missing out (FOMO) with the JOY of missing out (JOMO). Maybe in the future when we speak in text language “sabbaticals” will just be called “JOMOs”? Can’t decide if I am going to let someone else pick out my produce for me? Probably not. 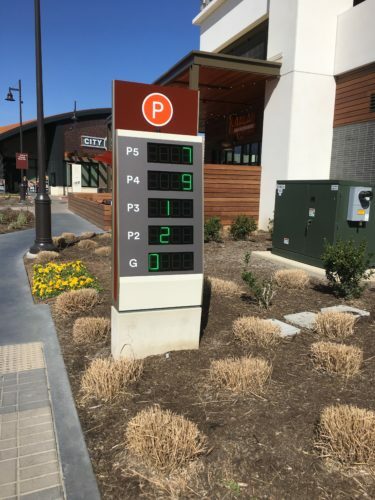 Parking meters at the new Clearfork shopping area in Fort Worth. Fun slogan from an Olympics ad – ABFTTB – Always be faster than the boys! An insightful article about the new album from The War on Drugs – if you haven’t indulged in this one, you really should! This week was all about getting work done on my user-generated content book chapter while making time for learning new skills. I have been working from my mother’s house in Florida so it has been nice to take breaks that include walks on the beach, trips to my favorite childhood restaurants, reading new books, and lots of crafting activities. It has also proven to be an excellent time for rethinking my routines and approaches to work, writing, and getting things done. Did I respect my own boundaries? Was I clear about what’s okay and what’s not okay? Was I reliable? Did I do what I said I was going to do? Did I hold myself accountable? Did I respect the vault and share appropriately? Did I act from my integrity? Did I ask for what I needed? Was I nonjudgmental about needing help? Was I generous toward myself? These have been particularly helpful for me as I try to moderate my social media use as well as my phone use as I learn more about digital wellness. 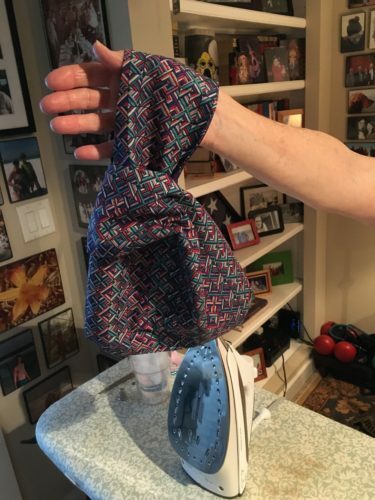 And, for those of you that are curious about the crafting part of my week, I learned how to make a pattern, cut fabric, and sew a Japanese knot bag from scratch courtesy of Fran Bright (PS – I might have a new YouTube sewing star on my hands!). First Japanese knot bag complete! And, it’s reversible too :). Classes began at TCU this past week and I officially started my research sabbatical – what a thrill :). These last few days have been all about organizing my projects for the coming semester, deciding what to tackle first, and finishing up two projects related to social media fatigue. As part of this process, I did my annual email clean out and unsubscribed from newsletters that I don’t get much out of anymore and found some new things to check out. I also took some time to catch up on my favorite podcasts and have the best tidbits from those shows listed below. *This is a new movement focused on raising self awareness of smart phone usage. Taking control of your phone! *This page offers specific tips for controlling your usage. *Lots of great tips on managing information overload, securing your data online, and beating the FOMO blues. *Fascinating themes about AI, death, social media, and politics in this episode featuring the creators of the show Black Mirror. This week I will be continuing my work on an Oxford Press Bibliography on “User-Generated Content in Communication” that will come out later this year. If you have any fun suggestions for that, send them my way :). This semester I will have my first academic sabbatical to work on research projects related to big data, social media fatigue, and citizen engagement in digital spaces. Excited to see what this time brings … for now, I am working on the weirdness of not creating syllabi and prepping for classes for the first time in a decade :). Luckily, I have this joker to keep me in line and motivated! 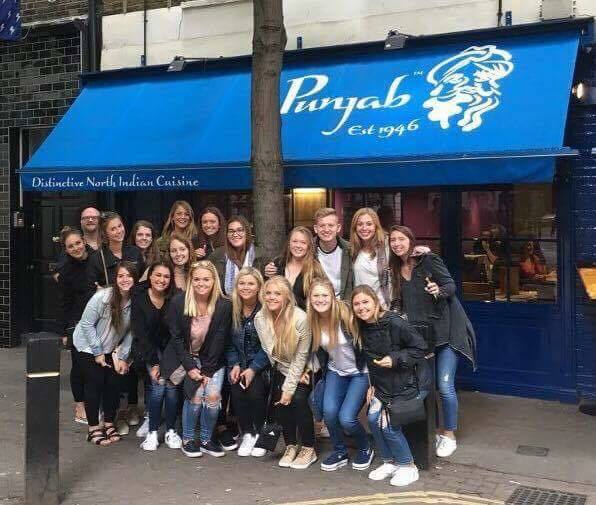 Excited to be in London for the month of June with 18 students from the TCU Strategic Communication program. We will be exploring the city and surrounding area and doing a variety of cultural activities including visits to the Globe Theatre, British Museum, Windsor War Rooms, Oxford, Windsor Castle, the Brand Museum, and the London offices of Ogilvy & Mather ad agency. It is going to be an active, fun-filled trip! 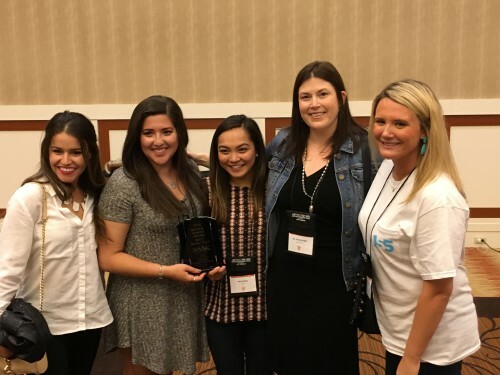 TCU NSAC Team Places 2nd in District 10! 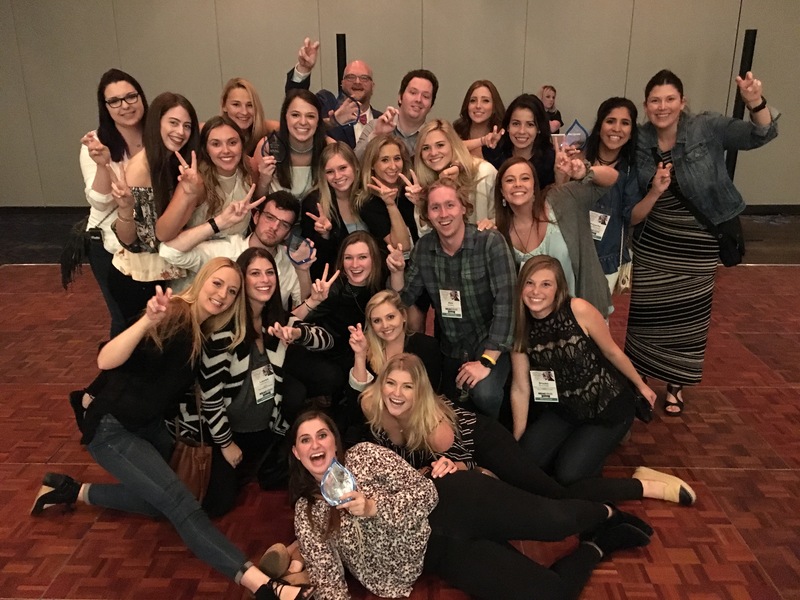 Very proud of this group of students for placing second in District 10 at the National Student Advertising Competition this year. Their campaign for Tai Pei Asian Food focused on “The Tai Pei Path” to comfort, convenience, and customization. Certified Public Communicator Program graduates 23 students in July! 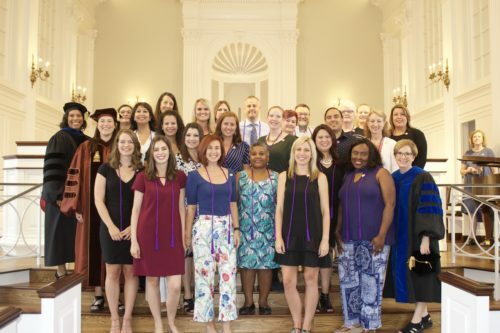 We graduated another talented group of public communicators from the Certified Public Communicator program at TCU in July. This group consisted of public sector communicators from agencies across the nation, including cities, counties, school districts, and regional education offices. A total of 23 students graduated this year in Cohort III, with another 25 communicators beginning the program as Cohort IV. For more information, visit www.certifiedpubliccommunicator.org. Fun with the drone in Central America! I am excited to attend the American Academy of Advertising conference this coming weekend in Seattle, Washington to discuss how to develop study abroad programs with digital technologies embedded into the curriculum – I will be there with our tour guides, Tony and Oscar, from Explore505 in Nicaragua. They are helping us develop an interdisciplinary study abroad program in Central America with visits to both Panama and Nicaragua. The program will run this May and is a collaboration between myself and Adam Fung from the School of Art. Students will be able to complete courses in New Media as well as Advanced Drawing. Off we go! An academic panel with Jong-Hyuok Jung (moderator), Jane Kucko, Jacqueline Lambiase, Catherine Coleman, James Ebel, Huizhen Du, Wonsun Shin, Laura F. Bright, Karen Lancendorfer, Spencer, Anthony, and Oscar Gomez (2016) – Entitled “Strategies for Developing Study Abroad Programs in the Global Era” at the American Academy of Advertising Annual Conference, Seattle, Washington, March 17 – 20. 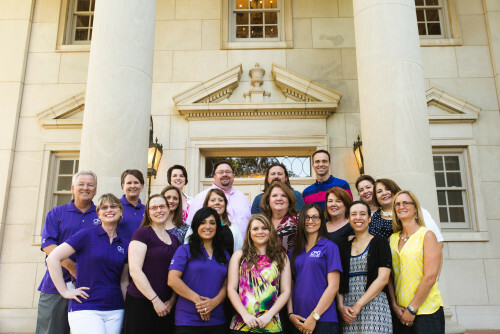 TCU Certified Public Communicator Program graduates another cohort! The School of Strategic Communication, in partnership with the Texas Association of Municipal Information Officers, proudly recognizes the second graduating cohort from the Certified Public Communicator program, the nation’s advanced executive education program for public information professionals. Twenty public communication professionals participated in the cohort, which included 95 hours of instruction in residence since July 2014. The post-baccalaureate, graduate-level residential program includes extensive coursework and each graduate must create a three-year comprehensive communication plan. These plans are reviewed and approved by their organizations and by strategic communication professors from TCU’s School of Strategic Communication, part of the Bob Schieffer College of Communication. Jessica Beyer, Blue Earth County, Minn.
Two additional students will receive certificates later this year. The curriculum offers leadership training and coursework designed for the complexities and challenges of communicating with residents and stakeholders specifically for professionals working for cities, counties, school districts and other public and public-private agencies.The third cohort is already underway with 24 participants stretching nationwide to include representatives from cities and counties in Alabama, California, Colorado, Georgia, Iowa, Oklahoma, Nebraska and Texas, plus from several schools, school districts and colleges in Texas. Since 2013 TCU has partnered with TAMIO to offer this first-of-its-kind program to public information professionals. Early in 2015, another group joined the partnership: The National Association of County Information Officers. ABOUT TAMIO: TAMIO is an affiliate of the Texas Municipal League, which represents some 98 percent of Texas’ urban population through its more than 1,000 member cities and towns. Organized in 1913 as an information association of 14 municipalities, TML today is a progressive, multi-million dollar enterprise offering a wide variety of services to Texas cities. As partners, TML and TAMIO offer the best in representation and assistance to cities and their respective colleagues. ABOUT TCU’s SCHOOL OF STRATEGIC COMMUNICATION: Based in the Bob Schieffer College of Communication, the school serves about 400 undergraduate and master’s students studying advertising and public relations through an integrated curriculum. The school, with 13 full-time faculty members, has offered the Certified Public Communicator program since 2013. For more information about the school, please visit www.stco.tcu.edu ; for more information about the certificate program, please visit www.certifiedpubliccommunicator.org.